Hummus – enough to spread a thick layer at the bottom of serving platter. 3. 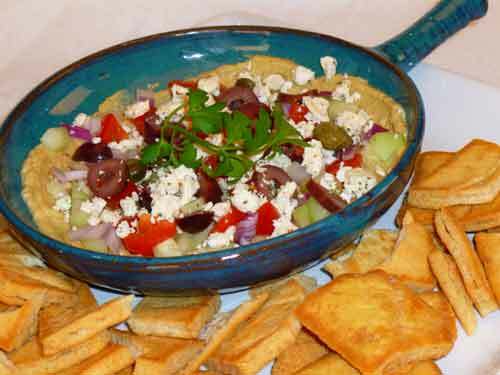 Garnish with Parsley and serve with Pita chips.